Although nearly a month passed since FIBA’s Oct. 31 deadline for the Japan Basketball Association to present a merger plan for the bj-league and the NBL, among other demands, basketball’s world governing body delivered the expected news. On Wednesday, the JBA, one of FIBA’s 214 national federations, was suspended from all FIBA and FIBA Asia-related activities. The length of the ban has not been announced. As a result, all Japan national teams are barred from playing in FIBA-sanctioned competitions, including the women’s national team, which captured its first FIBA Asia title in 43 years in 2013. This could have a profound negative impact on Olympic qualifying and preparation for it. The FIBA executive committee met on Monday and Tuesday before finalizing its decision. “. . . The JBA has been and currently remains unable to deliver on FIBA’s requests to: restructure the JBA to ensure it is fully functional under FIBA’s general statutes; merge the existing two leagues into one that operates under the JBA and plays the game in accordance with (FIBA’s) official basketball rules across the country; (and) present a concrete sporting plan for the national teams (men and women) beyond 2020,” FIBA said in the news release. The NBL plays under FIBA rules; the bj-league adheres to NBA rules. FIBA has viewed that as a point of contention. 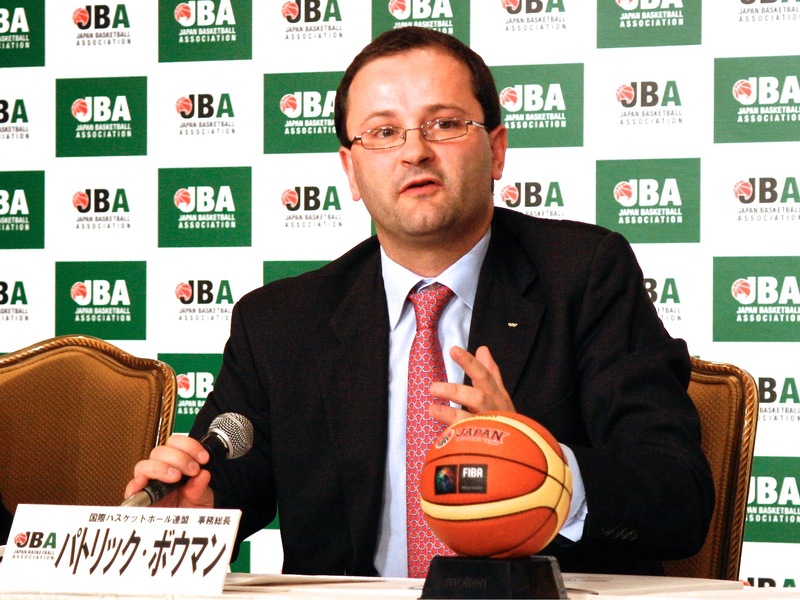 Since an official visit to Tokyo in 2009, top FIBA officials, including secretary general Patrick Baumann, have repeatedly stated that the concurrent existence of the 22-team bj-league and 13-team NBL are a violation of FIBA rules, as each national federation is required to have a clear-cut top league under its control. 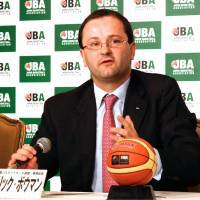 The bj-league operates outside of JBA control. Though bj-league commissioner Toshimitsu Kawachi and his NBL counterparts have held talks with the JBA in recent months, no merger deal has been reached. And there’s been no evidence that the rival leagues are any closer to an agreement than they were at any time over the past five-plus years. Yasuhiko Fukatsu resigned as JBA president on Oct. 23, just a week before the FIBA deadline, stepping down at a time when an 11th-hour breakthrough appeared impossible, based on comments from key leaders in both leagues, including Kawachi, who has presided over the bj-league since its establishment for the 2005-06 season as a breakaway circuit from the old Japan Basketball League (the NBL’s predecessor). FIBA revealed it plans to send an appointed representative to Japan to assist in setting up a task force to usher in changes cited above. Longtime NBA coach Bob Hill, who led the bj-league’s now-defunct Tokyo Apache during the 2010-11 season, insists that FIBA made the right decision. “This situation is extremely unfortunate as Japan as a country is outstanding in so many ways,” Hill told The Japan Times. “FIBA is the international leader for all (basketball). If Japan wants to be a part of FIBA, then they must adhere to the same rules and regulations that the rest of the world adhere to. Reacting to the news, forward Jo Kurino of the NBL’s expansion Hiroshima Dragonflies weighed in on the ban on Wednesday night. “I am sure the JBA has looked bad over the years, before this matter,” Kurino, who was first draft pick in bj-league history in 2005, told The Japan Times. “Japan has always been an economic superpower and its national teams in other sports such as volleyball, gymnastics, judo and more have been standard bearers in Asia.